The Institute for Molecular Bioscience (IMB) is a multidisciplinary life sciences research institute undertaking discovery research for disease application and sustainability. 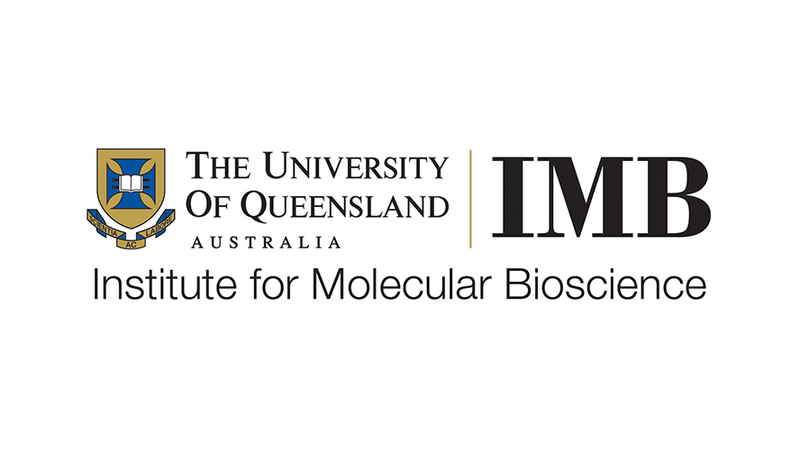 IMB is the oldest and largest institute of the University of Queensland, with approximately 500 active researchers, including 120 higher degree by research students. IMB is one of the premier research institutes in Australia, with world-class facilities and internationally renowned scientists undertaking cutting-edge research. IMB’s research is framed through six research centres focusing on superbug infection, pain, cardiovascular disease, inflammation, solar biotechnology and the interplay of genomics and disease. It also undertakes research in cancer, the environment and agricultural solutions. Its researchers are creating change in areas including the production of medicines in plants, the search for new antibiotics to combat superbugs, diagnosing and treating disease, and the use of algae for production of biofuels and bioproducts.